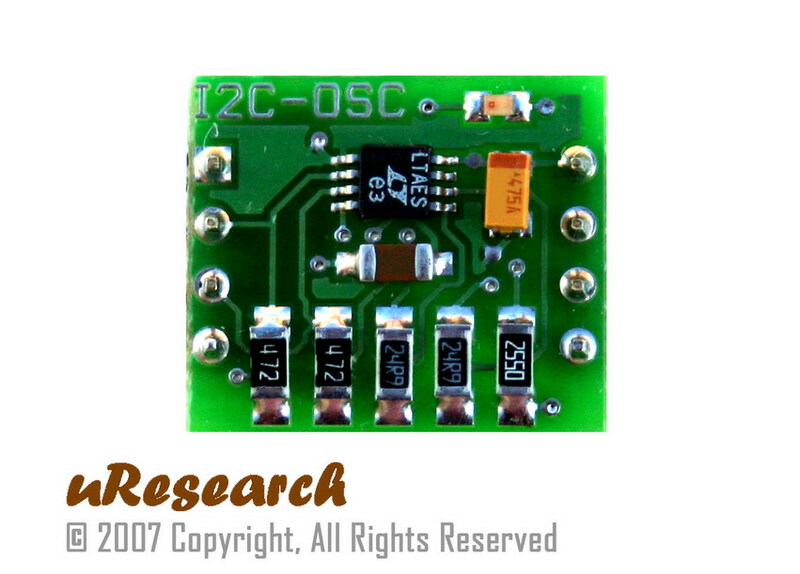 The I2C-OSC board is an 8-pin CMOS 1KHz – 68MHz Programmable Oscillator device using I2C bus. There are no external components required. Only two signal lines SDA and SCL plus supply voltage and ground are required to be connected. This makes it perfect for embedded systems that require programmable oscillator. 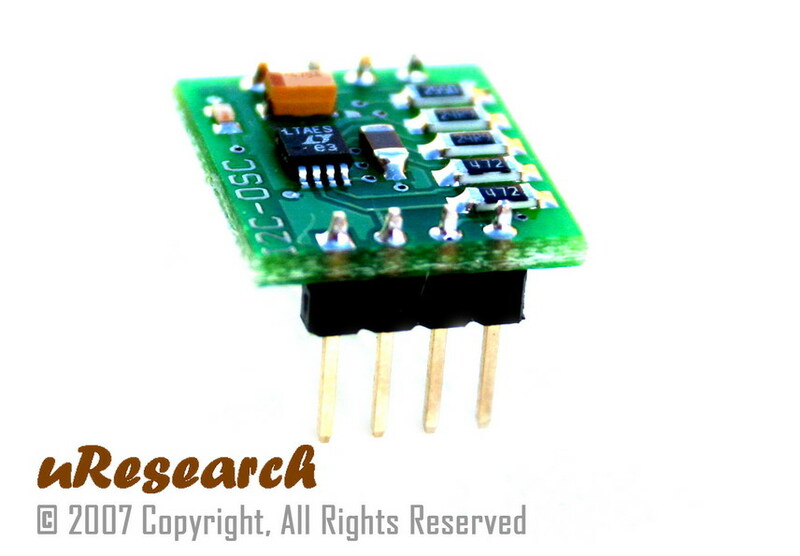 This board features innovations that set it apart from other programmable oscillator module. Innovations feature like on-board I2C address jumpers, pull-up resistors, and power LED. The module can be quickly connected directly on to the breadboard. 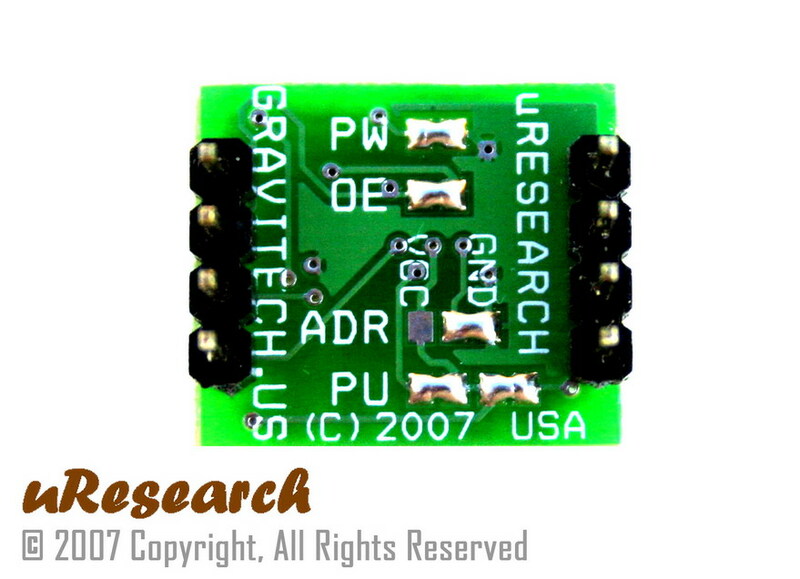 The board is small and compact in size 0.70 x 0.61 inches. 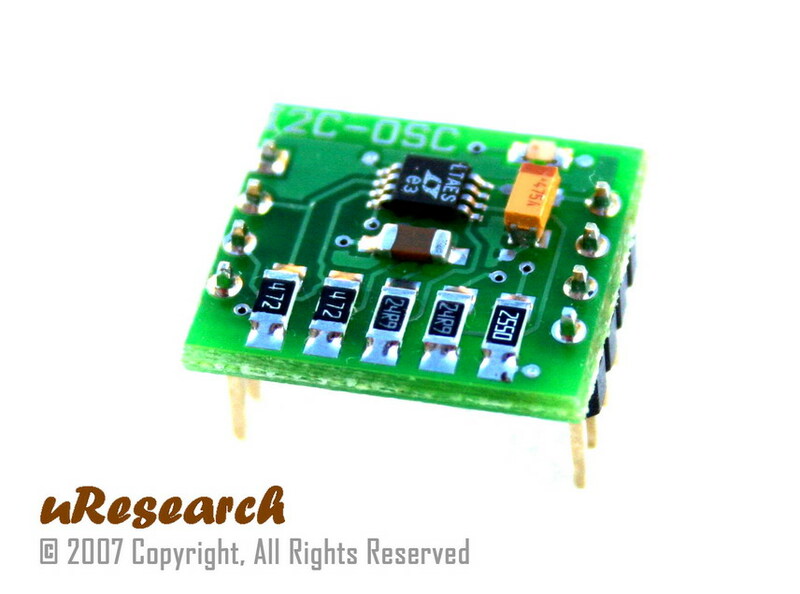 The I2C-OSC is designed base on LTC6904 IC. It is a low power self contained digital frequency sources providing a precision frequency from 1KHz to 68MHz, set through an I2C bys. 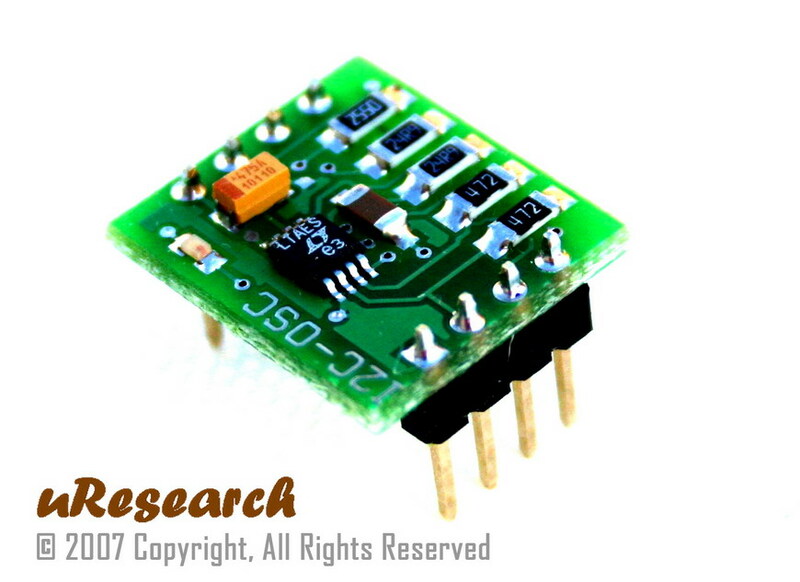 It operates over a single wide supply range of 2.7V to 5.5V. The LTC6904 feature a proprietary feedback loop that linearizes the relationship between digital control setting and frequency, resulting in a very simple frequency setting equation. A jumper pins vary the fixed I2C address and allow up to two I2C-OSC to share the same I2C bus.